When it’s time to bring your vehicle in to our state-of-the-art certified service department for service, maintenance or repair, you can rest easy knowing that your vehicle will be cared for by highly qualified technicians who know your Chevrolet better than anyone. In addition, you’ll be able to make the most of the time you spend with us, our customer waiting room has FREE coffee, Wi-Fi, Smart TV w/Facebook & YouTube. We understand that it’s hard to find time in your busy schedule to have your vehicle serviced, which is why we enjoy making things as easy and hassle-free as possible and also helping you stay productive. When it’s time to schedule your next service, feel free to utilize our convenient online form, call us at (269) 465-3325(DEAL) or stop by & have a cup of coffee. We’re located at 9630 Red Arrow Highway, Bridgman, MI 49127. 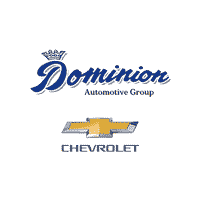 We look forward to serving you at Dominion Chevrolet!